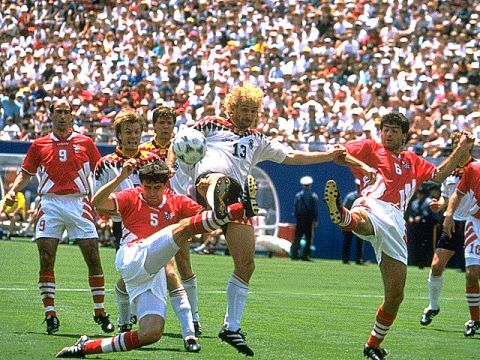 Rudi Völler battling alone with several Bulgarian defenders. He was given the chance in the team in the previous match against Belgium and replied with 2 goals. Against Bulgaria he found no room.